A children’s play room for a crèche in Carlow is one of the latest Steeltech Sheds applications we have delivered. It’s providing some welcome extra play space for the boys and girls attending the crèche, and extra storage space too. The crèche owner feels it’s a big addition to facilities there – and we’re delighted to have helped. The play room had to be of sufficient size to meet the creche’s needs. There had to be a large glass front, for easier supervision of children inside. It had to be flexible as regards interior fit-out. It all had to look good! We helped the customer with each of those things. First, we considered the number of children liking to be using the play room, and the available space for it. Together we decided that a 4m x 3m play room would be most suitable. We gave the customer various options as regards a glass front. She chose a double sliding door casement, with full length glass panels on either side. This choice both looks good, and is functional too. As regards fit-out, we installed 25mm insulation material, and the customer chose to do the interior décor herself. Finally, we explained the various options for an exterior finish. The customer opted for a woodgrain steel finish – and that always looks good! 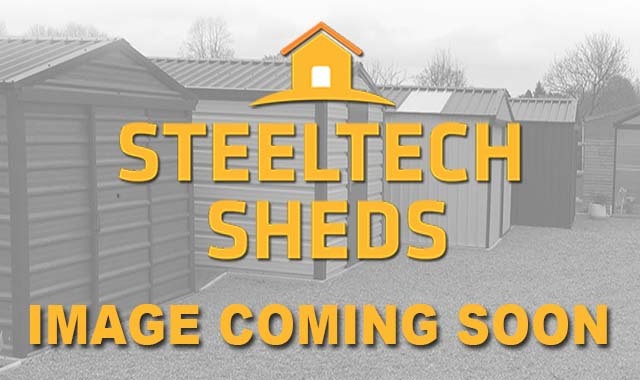 If you too are considering a Steeltech Shed for any reason in Wicklow, Carlow, Kilkenny, Wexford, Waterford, or any other surrounding county, talk to us too. All Steeltech Sheds are fully guaranteed, and require virtually no maintenance. To talk more, just call us at (059) 9164564, or drop in to see us at the Wexford Road Business Park on the outskirts of Carlow. Look for the big Fine Framers premises at the new roundabout! What is six + 3?